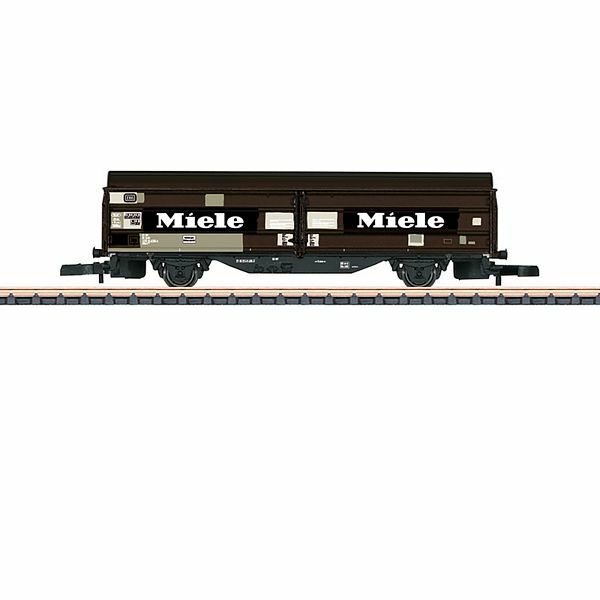 Prototype: Type Hbis-t 299 2-axle privately owned sliding wall boxcar for the firm Miele, used on the German Railroad (DB). Car for transporting moisture-sensitive freight. Model: The car body is made of finely detailed, imprinted plastic, prototypically lettered, with imprinted repaired areas. The solid wheels are black nickel-plated. Length over the buffers about 64 mm / 2-1/2".